Bitcoin has recently been discussed. However, it seems there are still many who do not know about the ins and outs of this digital currency, which is now worth in the range of USD 16 thousand. See Also: Great Mystery Not Revealed: Who Is the Creator of Bitcoin? Bitcoin is the currency in electronic form. So there is no physical form at all. No bitcoin coin is like a conventional currency. Bitcoin, like other digital currencies, is stored on the internet. Bitcoin is not regulated until now either by the government or the banks. And its users can make transactions anonymously. Bitcoin is not really something unique. According to CoinMarketCap data, there are about 1,324 digital currencies that exist today with a total market capitalization of USD 341 billion, almost equal to the value of Johnson & Johnson companies. But indeed bitcoin is the first and largest digital currency. Some marketplaces called bitcoin exchange allow people to buy or sell bitcoins. 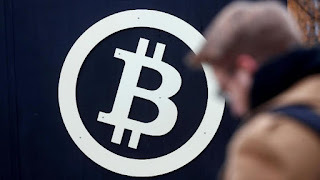 People can also send bitcoins to each other with mobile applications or through computers. Roughly the same as sending money digitally. Or it could be by own mine using a computer to solve complex mathematical puzzles. Bitcoin networks reward miners by providing bitcoins to those who contribute the computing power required. So, the more computing power is donated, the greater the reward part is gained. Bitcoin can be stored in a kind of digital wallet that exists in the cloud as well as the user's computer. The wallet is a kind of virtual bank account that allows users to receive or send bitcoins, pay transactions or save bitcoin. Users need to be careful because bitcoin in the cloud threatened by hackers and on computers can accidentally deleted or damaged the virus. How high is the value? The value of bitcoin later soared and could penetrate USD 16 thousand. That number is an increase of more than 10 times compared to its value at the beginning of this year which is only about USD 1000. But it should be noted that the value of bitcoin can rise significantly down. Bitcoin has value primarily because its community believes it is worth, as Christian Catalini, an MIT scholar researching bitcoin, suggests. The value is getting higher as more people buy it and it is suspected that some major institutions are beginning to consider accepting it. How is the future of bitcoin? Currently no one knows exactly how the fate of bitcoin in the future. Bitcoin has not really been regulated although there may be changes. Governments in various countries are beginning to pay attention to taxes and their lack of control over bitcoins. Satoshi Nakamoto is the name of the creator of bitcoin. The original identity is very mysterious since the first bitcoin was released in 2009. But along with the rising value of bitcoin currency, the curiosity of many parties about the original identity of the creator continues to increase. Although until now still not found. 0 Response to "Interesting Facts Bitcoin Needs to Know"